Murder and mystery in Pineview – Solve it all in Rainswept! What lies beneath the cover of the small town facade? What mysteries await Detective Anderson within his own mind? 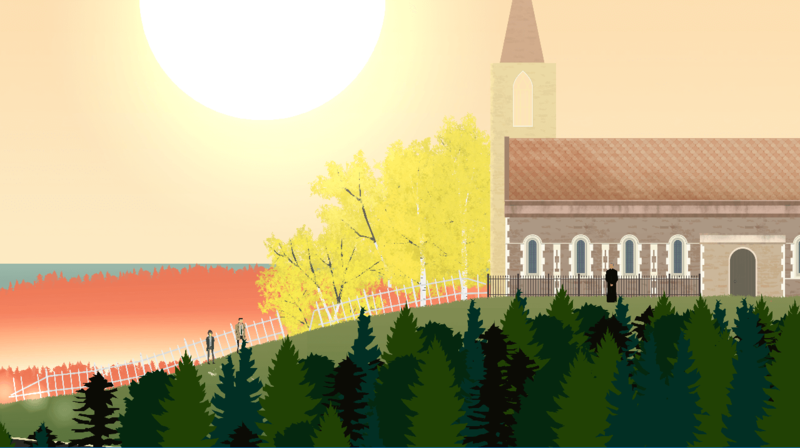 Rainswept is a new murder/mystery adventure game being developed by Frostwood Interactive. 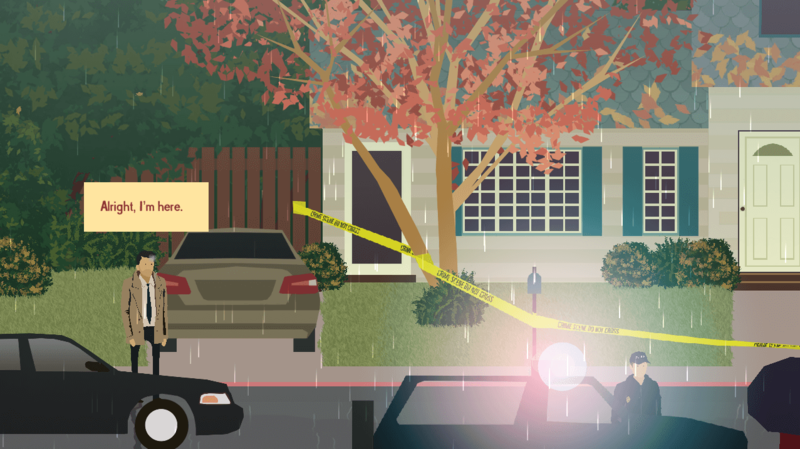 In Rainswept you take on the role of Detective Michael Anderson who has come to the small town of Pineview to investigate the murder/suicide of Chris Green and Diane Miller. As you investigate, you’ll discover not only the clues to the events that took place during this case, but also that something about the town feels off. It’s a little too quiet, even for a small town, and the gossip seems to contradict someone else at every turn. You’ll also learn about Detective Anderson and his own personal demons. What lies beneath the cover of the small town facade? What mysteries await Detective Anderson within his own mind? I found Rainswept’s key element to be its story. It’s extremely well written and delivered at a pace that sets the mood of the game and holds it. It’s not a whole bunch of facts in your face at once. What I noticed when playing is how little things changed in each person’s responses to your questions. Some said Chris and Diane were so in love and only had eyes for each other, while others mention their distancing of each other and possible domestic abuse. This built up well when questioning the townsfolk and gathering information. Another thing noted was the pacing of the game. It shifts speed when it needs to, slow in moments of reflection and investigation, quicker as clues unravel. I won’t say fast-paced, as a game like this should not be fast-paced, and Rainswept delivers itself well without high paced action and story. This is excellent, as it allows for the what I felt to be the game’s highlight to shine through. The only flaws I found, besides a few grammatical errors which aren’t a big deal to me — especially with an unfinished game — were a few spots in the game where I could tell the sprites had simply been flipped to make animation easier. While this isn’t game-breaking, I feel this is a shortcut that should be avoided as it makes the scene look ugly. Sure it saves time, and like I said, the game is unfinished, but I think that takes away from the immersion of the game and story. A game like this thrives on those aspects and honestly, too many of them could be a detriment to the game. Fixing this doesn’t need to be the top priority, but I definitely would hope that they clean it up before launch. Overall, I am thoroughly excited to see Rainswept as a finished product, and can’t wait to see how Detective Anderson solves the mystery behind Chris and Diane’s murders, as well as how he deals with his own inner turmoils. 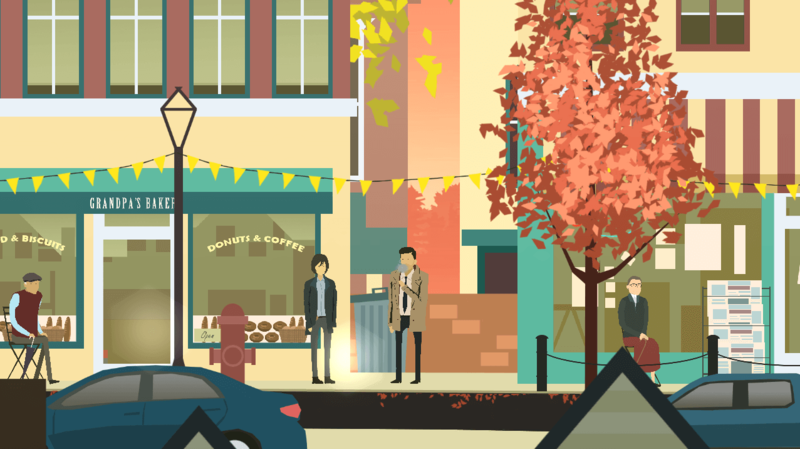 I highly recommend Rainswept to any fans of the Telltale adventure games and Square Enix’s Life Is Strange. You can support Rainswept and Frostwood Interactive on IndieGoGo for a few more days, and try out the excellent game demo on GameJolt. You can pick up the full game on Steam on its launch date in January 2019!